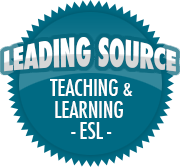 The biggest cost of ESL learning is INNER peace | So, You Think You Can Teach ESL? Few people talk about this but it is actually true. When someone is undergoing a learning process, there will be significant inner changes expected. Somehow you will be expected to ‘unlearn’ some bad habits and pick up some new correct ones. The challenge comes when someone already has learned a little ‘street’ English and thinks they’d like to take it further. The process of crashing down all the slang that has been picked up can be daunting.